Malai-Mahadeshwara hills (MM hills also called Mahadeshwara betta in local language, Kannada) belongs to Chamarajnagar district in Karnataka state. A well known place because of the forest brigand late Veerappan. This place was the hide out area for Veerappan for so many years. The famous Malai Mahadeswara temple is seen here. 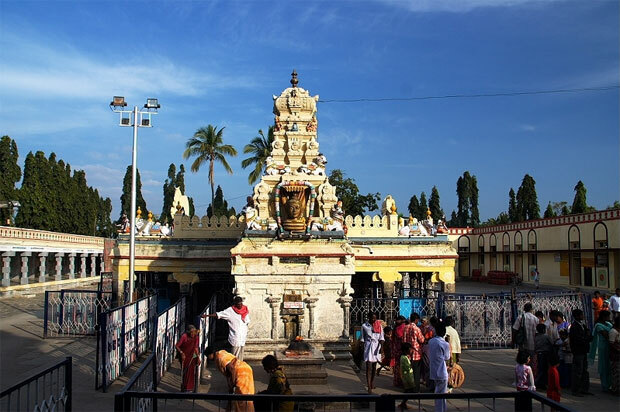 The surrounding is totally hill area and the temple is situated at the center of 7 hills. Special functions are organized during each Hindu festival. During Deepavali festival a grand celeberation can be witnessed in this place. A place called Antharagange is seen very nearer to the main temple. Here, the mysterious water flow from the ground arises during the entire year and the origin is not yet known. The famous Hogenkal falls is also very nearer to this hill area which is only 45kms towards south. Hogenkal is situated in Tamilnadu. This place can be reached from two main cities, Bangalore and Mysore. From Bangalore, people have to travel towards Mysore. They will reach a place called Ramanagaram (52 Kms from Bangalore), then after 10kms from Ramanagaram, they will get a place called Chennapattana. Continuing in the same route, people will get a place called Maddur after 20Kms from Chennapattana. In this place (Maddur) people have to take a left turn (ask the local people for help) to move towards Malavalli. If you miss this turn, people will travel towards Mysore. After 24kms journey from Maddur (taking left turn), people will reach the place called Malavalli. From Malavalli, people have to travel towards Kollegal which is 35 Kms from Malavalli. Continue the trip towards Hanur (24Kms from Kollegal) and then to Koudalli (16 Kms from Hanur). 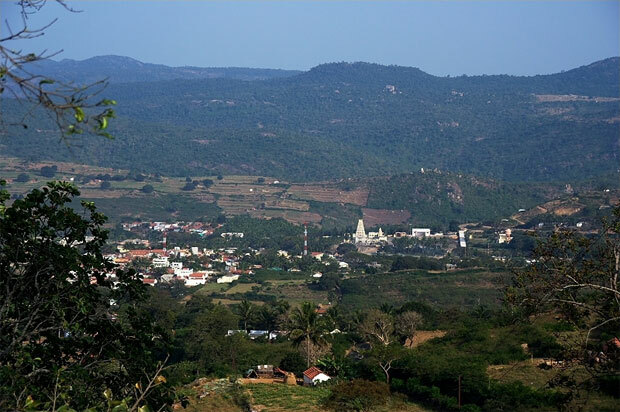 Koudalli is the ground level region before starting the hill journey of the MM Hills. From this place, Malai Mahadeswara temple is 30 Kms in ghat/hill section. The total distance from Bangalore to MM Hills (Malai Mahadeswara Hills) is 200 Kms. People travelling from Mysore have to come to a place called T.Narsipur (Thiruma kudalu Narsipur), also called T.N.Pura. Distance between Mysore and T.N.Pura is 30kms. From T.N.Pura, people have to move towards Kollegal which is only 31Kms. From Kollegal, the route becomes the same for that detailed above while coming from Bangalore. i.e., from Kollegal to Hanur (24Kms), from Hanur to Koudalli (16Kms) and to MM Hills to reach the Malai Mahadeswara temple (30Kms). The total distance from Mysore to Malai Mahadeswara temple is 130Kms. People can visit Hogenkal falls from MM hills. Hogenkal is only 45 Kms from Malai Mahadeswara temple. They have to move towards the place called Palar (15 Kms from Malai Mahadeswara temple) and move towards Mettur dam (30Kms). Before reaching the Mettur dam, they reach a place called Gopinatham, ask for local people help and take left turn to reach Hogenkal falls. Visit the Chamarajnagar home page to get the details of other visiting places in this district. hotels in Malai Mahadeshwara Hills . how to go to hogenkal falls. in this web no bus timings details, please mention transport details. Can I know what is the distance between MM hills,BR hills & gopalaswamy betta? Is it (Gopalaswamy betta) also towards BR hills & MM hills? i had been to mm hills & i am taking my family tomorrow & for sure will go to nagamala. I had a terrific and beautifull drive from Mysore to Salem via MM Hills.Started from Mysore around 530pm and a journey still remembered by my wife and kids.No traffic.So make sure your car is in perfect condition.It was a new route for us and were lucky to spot two elephants on the road, civet cat and pair of grey fox.If you are a nature lover travel by evening to catch its splendour.Only on reaching MM hills i knew how big a temple it was. Planning to be there this december holidays with kids and go on a adventure touring in that area.I was expecting to spot a big cat but i think there are none.Roads are okay. We were on this route in june 2009 driving our Fiat Uno.You have trekking organised by Chamrajnagar Forest Division. how to go to hoggnekal falls from M.M.Hills?. please specify the route and distance too. I prayer Malai Mahadeshwara Hills & also beautiful place calles Nagamalai from MM Hills take jeep half off the forest from there walking 5 km to Nagamalai forest area. I really love to visit Malai mahadeshwara betta, Me and my parents are believe god Mahadeaswara, I frequently visiting to this place and I got so many success in my carrier and my personal life. Who are praying with trust and faith to this god each and every person will get success for Ex. me. This saturday (10.07.2010) mine and my family visited temple I am struggling for room, I went to room booking office and I asked room, room servants says there in no empty all rooms are filled but they are hanging so many keys on the wall board. I asked so many keys u r hanging give me one room ladies (My Mam and sister in-law) are there but he is refused to give room. He said who are the room donors are there, they were booked the room. I got anger but I controlled my self b'coz I dont want quarrel in my god place. One more thing I wanted to share with MM devotees. Pls. look in to this and provide basic needs to devotees. God can give Ashirvada but servants are not giving to devotees. M.M. Hills can also be called as heaven of Kaliyuga (present generation), as im visiting this place since my childhood past 15-18 yrs. This is only God to me which i can beleive the most in which all my problems have been solved. I ask all my devotees to visit this place once in their life time to achieve peace & happiness in their life. I whole heartedly pray MALAI MAHADESHWARA to bless everyone & bring sucess in their life. its around 5Hr from bangalore, and the hotel fare is Rs.200. What is the distance between Bangalore to MM hills? Is there any staying arrangements at MM hills and what is the procedure to book a room staying there? This is place is really beautiful but road condition is very poor. Hi , I am a regular visitor to MM hills.. it is so fanstastic place, that you will forget all your sorrows and feel like dancing when you see the nature there. evenings you can see lot of peacocks flying and few sitting on trees,.. it is very good place for evinornmental lovers and childerns also, if u have not visited this place, please take a chance to visit here. I want to visit MM hill. I am planing to go by next week so there room is available for rent...? hi im planning to visit in the next month so the rooms are available for rent.......? 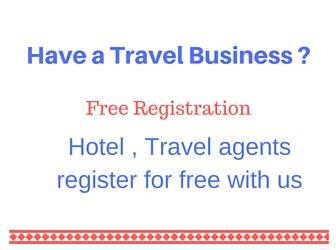 Very good information.. Iwant to visit very soon with my family and with my Kid. i want to book the rooms , but i dnt know the contact numbers of any 1 . any one pls provide us the hotel room booking detail . POOR ADMINSTRATION,DHARMADARSHI COMMITTE NOT INTRESTED IN IMPROVEMENT OF THE PLACE . RELATIVES,FOLLOWERS,CHELAS OF DARMADARSHI'S ARE MORE POWERFUL THAN STAFF'S OF THE TEMPLE. MADAPPA... MADESWARA..MUDDUMADIAH...IS SO POWERFUL HE WILL TAKE CARE OF EVERYBODY. if you want to visit this place, the right time will be shivarathri if you are lucky you can see wild animals also . THis is a vey gud place of LORD SHIVA..
Transportation is you want the local bus UDAYRANGA dept time: 4:30(kalasipalya KA 55 333).reaches MM Hills 11:30 nite and you can have a darshana in the morning sharpe 3am and can return in the same bus which deprt time 8:30am MM Hills) by 1:00 noon you can reach BANGALORE. I have heard that u get the best weed from MM Hills.. Does any1 know from where in MM-HillS..?? NAMASKARA,i am not a devotee, i am fan of this god from my childhood, i grown up with the positive spirit of this god. he inspired me in many critical condition of my life. most of the time i travelled from talubetta to mahadeshwara temple by walk. the journey through the forest make me so hard. it helps me different conditions of that im facing in my life. HI...One of the most popular & powerfull temple, good location..namappa madayya..